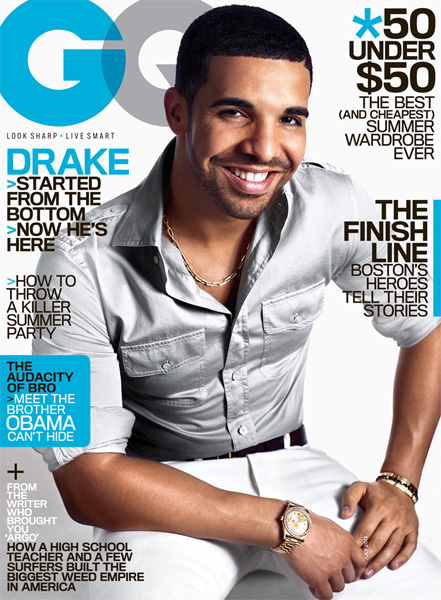 It's hardly ever that we see Drake on the cover of a magazine and when he does cover a magazine - it's the best of the best. Covering his third cover for GQ Men's Magazine - Drake is the cover story for the July issue of the magazine where he's dressed in Tom Ford, Ralph Lauren, Alexander Wang and more. In this very interesting and rare interview from Drizzy - he discusses his beef with Chris Brown, his work, making $250 million by the time he turns 29 and receiving advice from Will Smith. Hitting newsstands on Tuesday 25 June - read some of the highlights from the interview below as well as some of the photos from the spread. For the full story, visit GQ.com.